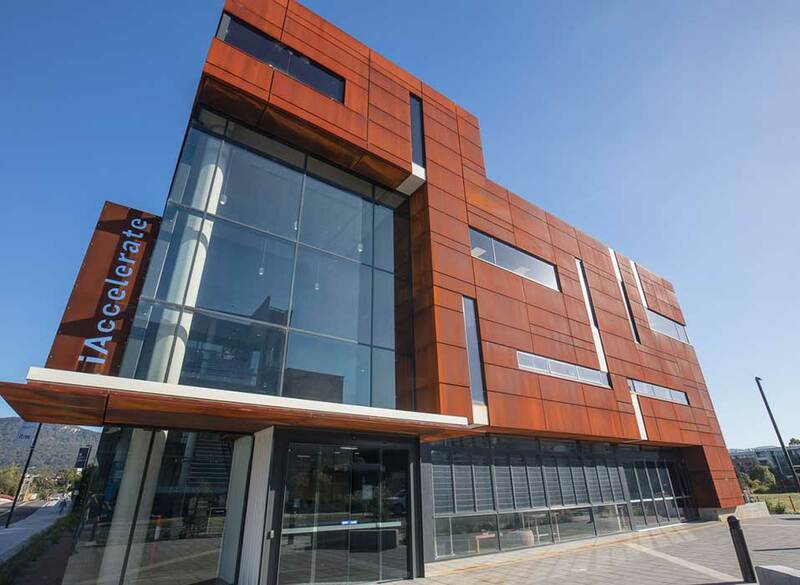 Tour the iAccelerate Centre, the region’s first purpose-built business incubator, providing a permanent home for 280+ startup companies and learn more about the iAccelerate offering. The three-storey, 4,000 square metre iAccelerate Centre is open for business and we are keen to show you the facilities. The iAccelerate Centre, features ‘plug and go’ expandable space at the UOW’s Innovation Campus, with 39 offices, 12 meeting rooms, 6 breakout spaces, 2 co-working spaces and the roof top terrace. iAccelerate’s suite of programs is designed to assist businesses grow and scale their companies. iAccelerate is built around a robust educational program, formalised business acceleration monitoring and one-to-one mentoring. During the tour we will show you around and explain our program to you.